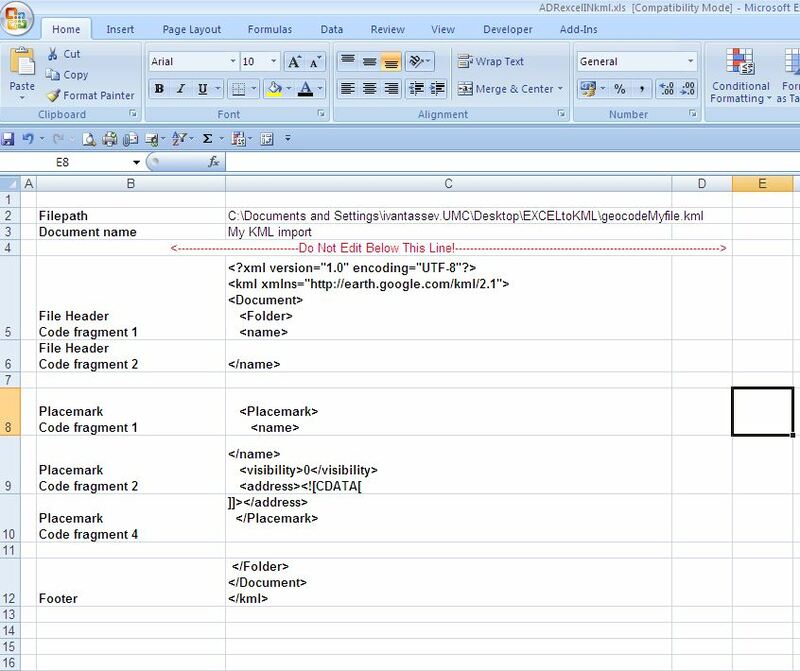 Code to open a recordset for the data that are to be written into a worksheet in an EXCEL file (for this example, the EXCEL file does not already exist), and then to use EXCEL’s CopyFromRecordset method to copy the data from the recordset into the first worksheet in that EXCEL file, with each record being written into a separate row in the worksheet. The code allows for a header row to be created in the worksheet if this is desired. This code example uses “late binding” for the EXCEL automation. How to use Google Earth as a source of geocoding! I would like to share with you simple hint – How to use Google Earth as a geocoding tool. You should have list with addresses and names of the points in Microsoft Exel file. So we should take the name of the point and the address and we are putting it in this frame structure. 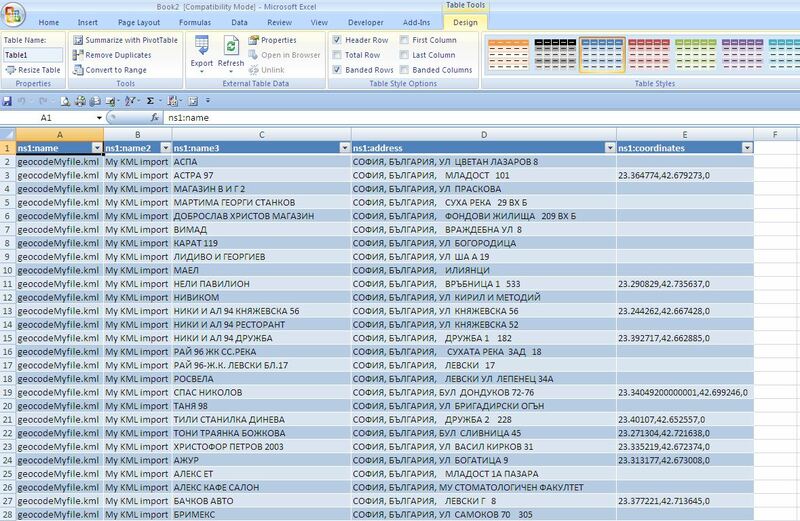 To do this we have to create simple macro which will create .KML file with the names and the addresses from our Microsoft Excel file. The second Sheet is called “File_Details” and in this sheet we should describe the structure of the .KML file. We are describing output file name and directory also. The macro will Loop thru the record set from “Data” Sheet and it should Save data as .KML file. 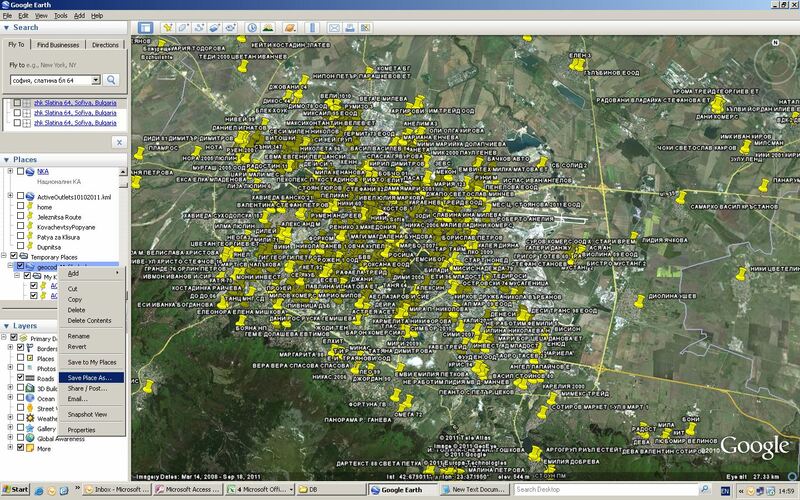 To get the geocoded data you have save your file as .KML from Google Earth in specific directory. After that you opening saved file with Microsoft Excel. Copy POI and coordinates and bring them back in Microsoft Excel by “Paste special as value”. We recently expanded the reach of the Chrome Web Store from the U.S. to 24 more countries. Developers from around the world have already launched successful apps in the Chrome Web Store to US users. Now all developers can reach a global user base. What makes this global reach even more interesting is the global payments infrastructure that goes along with it. The store allows developers from 20 countries to sell apps in the store, and users to buy apps in their local currency. We also recently launched the In-App Payments API, which allows developers (U.S.-only for now; international soon) to sell virtual goods in their apps. Integration is easy and transaction fees are only 5%. Graphicly, an early user of in-app payments, saw its net revenues double after starting to use the API and experienced an even bigger rise in profit margins due to increased conversions and lower transaction fees. Audiotool is an online music production app that was built by a team of German developers. They saw the Chrome Web Store as a way to present their app to an international audience. Audiotool’s traffic increased by 20% after launching in the store, and this motivated the team to release another app in the store. Psykopaint is the brainchild of French developer Mathieu Gosselin. The Chrome Web Store provided Mathieu an opportunity to get his photo painting app noticed outside of France. Traffic to Psykopaint has jumped by 700% since it launched in the store and Mathieu has found that Chrome Web Store users tend to be more engaged than other users. Finally, Nulab, a Japanese company, launched its online diagramming app, Cacoo, in the store to expand its user base outside Japan. In just a few months after Cacoo was released in multiple languages in the Chrome Web Store, the app already accounts for 20% of Cacoo’s user base. The experience of Audiotool, Psykopaint and Nulab shows that no matter where you’re located, you can always find a global audience for your applications in the Chrome Web Store. To learn more about the stories of these and other successful Chrome Web Store developers, read our case studies. And if you want to find out more about posting your app in the store, visit our documentation at code.google.com/chrome/webstore. 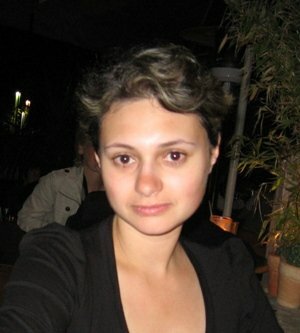 Alex Levich is a product manager working on Chrome Web Store.